The AEM-7 electric locomotive resulted from a test the passenger carrier did on French and Swedish models. After several tests Amtrak was pleased with the Swedish Rc4 and would eventually settle on it as a basis for what would become its AEM-7. The new electric locomotive model was built by General Motors' Electro-Motive Division (EMD) in the late 1970s through the 1980s and allowed Amtrak to retire the rest of its GG1 fleet and unsuccessful E60s, which were originally mean to place its aging fleet of electrics in the mid-1970s. In 2010 Amtrak ordered 70 ACS-64 locomotives from Siemens to replace its aging fleet of AEM-7's. The carrier held a special "Farewell To The AEM-7" excursion on June 18, 2016 marking the end of their service following nearly four decades of continuous service. 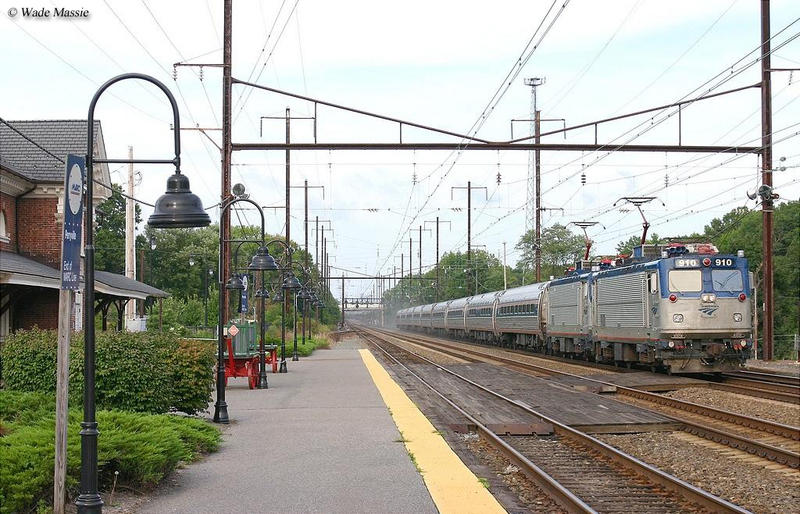 In addition, operators MARC Train and Southeastern Pennsylvania Transportation Authority (SEPTA) retired their respective units during 2017 and 2018. In the late 1970s Amtrak was looking for a new high-speed electric locomotive to not only replace the rest of its outdated GG1s but also retire its E60s, a General Electric product, which turned out to be a big disappointment (a poor design of its trucks and extremely heavy weight for a passenger locomotive precluded it from operating at speeds over 90 mph). This setback was somewhat surprising considering that through the years GE had been known as a quite competent designer and builder of electric locomotives. So, after being pleased with tests done on a Swedish Rc4, the most successful electric locomotive design at the time, Amtrak contracted with EMD to build a fleet of 54 passenger electrics dubbed AEM-7s. These motors used the latest in electric locomotive technology featuring thyristor motor control and traction motors that provided maximum power without wheel slip. 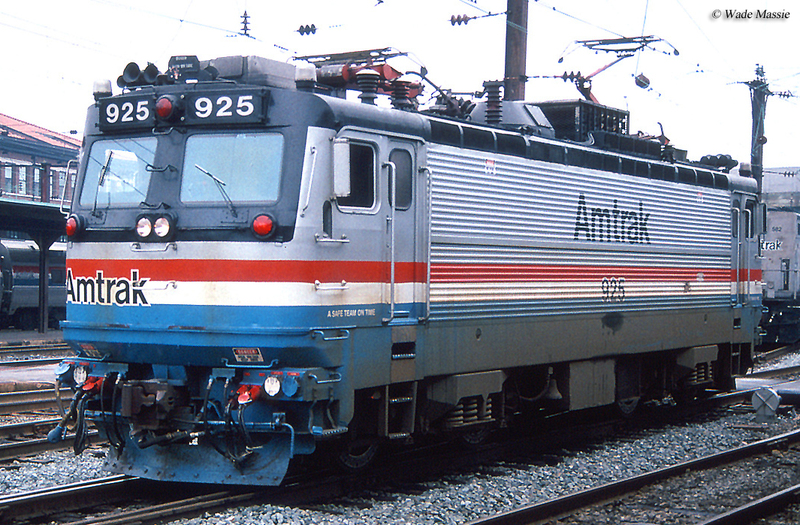 The Amtrak’s AEM-7 was noticeably more powerful and heavily built than the Swedish models, partly due to design mandates by the Federal Railroad Administration. The AEM-7 could easily cruise over 100 mph on the NEC and could deliver a whopping 7,000 hp with over 53,000 pounds of tractive effort. 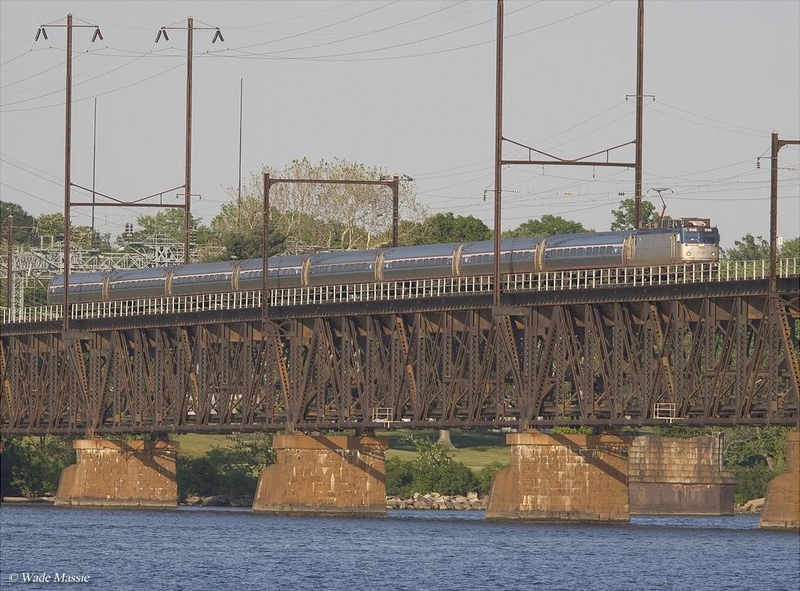 Today, the AEM-7 fleet continues to provide daily commuter service duties for Amtrak, along with the South Eastern Pennsylvania Transportation Authority (SEPTA) and Maryland Rail Commuter (MARC) which also both own a small fleet of the motors. In one of the few instances in recent memory in which an EMD product was constructed far superior to a GE design (it should be noted that EMD did not really design the model itself although the builder collaborated with other manufacturers), the AEM-7 was simply a much better design and more efficient locomotive than the E60 and its variants. Where the E60 featured a C-C truck setup (three axles per truck) the AEM-7 used a smaller B-B design (two axles per truck). This not only allowed the EMD model to be much smaller at just 51 feet in length (as opposed to the E60's 70 feet) but also much lighter at just 101 tons. In contrast, the GE's model weighed nearly twice that amount, 193.5 tons. The lighter weight allowed the AEM-7 to be much more stable on the rails and operate at higher speeds of 125 mph. 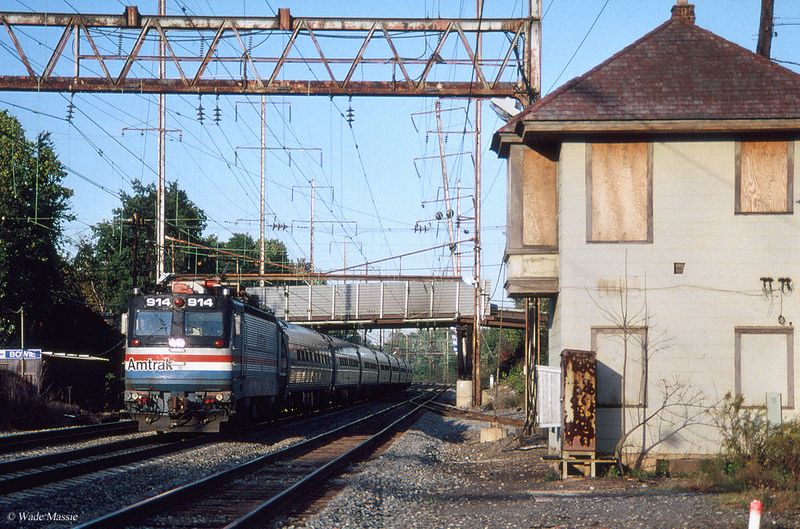 Amtrak began placing orders for the AEM-7 in 1978, before it had even completed its order of E60CPs and E60PHs. All of the model's internal components were designed and built by Allmänna Svenska Elektriska Aktiebolaget (ASEA) of Sweden. However, the locomotive's stainless-steel, ribbed carbody may look familiar to some as it was designed by the legendary Budd Company, which by the late 1970s was still serving a limited market for passenger equipment. Amtrak's first batch of AEM-7s, 46 units, began service between 1980 and 1982 after it had received its first a year earlier in 1979. By 1988 the carrier's order for the model was complete, at 54 units, more than double the total number it had purchased of GE's E60 design. 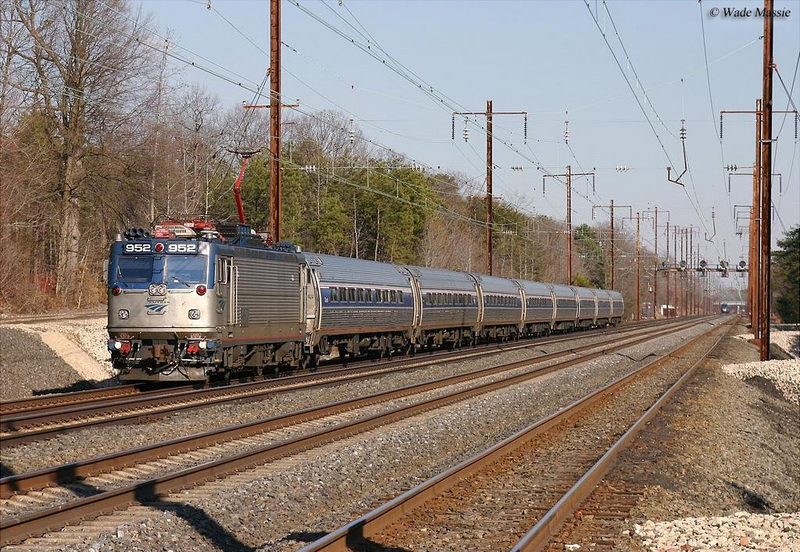 Altogether, EMD would construct 65 AEM-7s as both the Southeastern Pennsylvania Transportation Authority (SEPTA) and Maryland's MARC commuter service purchased a few examples of the model. For more reading about Amtrak’s AEM-7 electrics and other electrics consider Electric Locomotives from Brian Solomon. Not only does the book give a nice overview about the Amtrak's electrified operations it also covers American electric locomotive technology in general that includes nearly 100 pages of excellent photography. Another book that covers modern electric locomotives like the AEM-7 is Locomotives: The Modern Diesel and Electric Reference by author Greg McDonnell. Mr. McDonnell's book is much larger in scope than Solomon's Electric Locomotives, covering newer electrics (and diesels) on nearly 250 pages which are packed full with excellent photography, illustrations, and diagrams. The book has received superb reviews by readers and is perhaps the best current work out there covering the topic.